When thinking of famous breeding grounds for boxers, such as Detroit or Philadelphia, Oxnard of Southern California probably doesn't come to mind quite as often, but lately, the city, just half an hour north of Los Angeles, has been drumming up huge talent with big fights just around the corner. The city that gave us Fernando Vargas and Victor Ortiz currently hosts training facilities to other big names such as Sergio Martinez and Antonio Margarito. On one side of the city lies World Crown Sports, a boxing gym run by Adam Flores, which currently holds training grounds for some of the sport's top fighters and prospects, including Sergio Martinez, Victor Cayo, and Javier Fortuna among others. Mr. Flores has a long history in boxing and has watched some of the best and brightest fighters and trainers work their magic in the gym and in the ring. We got a chance to catch up with Adam Flores as he talks about World Crown Sports training facility, the talent he's seen walk through his doors, boxing's popularity among the Hispanic community, and the state of the sport today. RK: So how long has the gym been around? AF: It's been around for about twenty years now; this particular location about three. We've had a relationship with our boxers for a long time, so the transition was easy. My particular relationship with Sergio stems from his trainer, Gabriel Sarmiento. We've known each other for years and just bounce things off each other and one thing lead to another. The thing about him, to give credit where is due, is that he's just so diligent that it's been amazing to watch his metamorphosis as a trainer over the years. I came out of the same camp as Fernando Vargas and I knew Robert Garcia well and from there, stemmed out and started my own camp with Mr. Garcia's blessing. It's important for us to really do something for the community and for people interested in the sport to have us around, not just with the knowledge, but with the passion for it as well. The elements here at the gym are just great. We've got great weather all year 'round, the beach right next door, a great facility, a great nutritionist, and awesome physical therapist. We've got everything on site. Everything revolves around empowering the fighters. RK: How long have you been a boxing fan? AF: As far back as I can remember. AF: Yeah, that's pretty much to be expected. RK: Who were your idols growing up? AF: Well, I'm Mexican, so even before I knew who Ali was, I had Pipino Cuevas, Salvador Sanchez, guys like them to look up to. My dad always had boxing on TV growing up, so it was kind of inevitable. It's just part of Mexican culture, you know? Even here in Southern California, it's just part of our tradition; that's all we watched. We really had no other option because there was only one Spanish channel, KMEX, so there weren't that many options, so if boxing was on, guess what? We were gonna watch boxing. If there was a comedy show on in Spanish, we'd watch the comedy show in Spanish. But the Latin channels all really pump up boxing. RK: What inspired you to start your own gym? AF: I used to be a boxer myself, but I was always an athlete. That's why I call this place "World Crown Sports." In high school, I was a CIF champion in wrestling, I played a lot of football, tried out baseball and track and field too. I was pretty good at everything and couldn't just stick to one, so I'd always stay in with boxing to keep me in shape year round. That's the view I've kinda kept with this gym, to prepare athletes for any kind of conditioning. RK: Back to your comments about how popular boxing is to Mexicans  I want to ask you about their two hottest prospects right now, Saul Alvarez and Julio Caesar Chavez Jr. What do you think of them potential-wise and who do you think would win in a clash? AF: I think that's still up for grabs. They both have a lot of strengths, but also a lot of weaknesses because they just don't have the experience yet. It'd be a fantastic matchup though. The fan support for them would be incredible. I try to be impartial, but honestly, the support of boxing and Mexican fighters specifically here in Southern California is absolutely incredible. The whole pride of Mexico; we have, "Oh, a Mexican is fighting? Yeah, we're gonna show up." As long as our boys are out there doing their thing, we're gonna be out there supporting them. AF: (Cutting in) He's a genious is what people don't realize. RK: The Hispanic population there is huge, and it's a business first and foremost. AF: Yeah, I mean, people are going to have their reasons for not liking that fight, but at the end of the day, that was the best business decision to make. I would like to see Arum go out of that box a little and try to entertain the idea of other fighters there that are in line and rightfully so for a shot. It's a business, but the sport needs that kind of support. RK: What's your opinion on the state of boxing today? AF: Contrary to what a lot of people say, man, it's thriving. THRIVING. People don't have a clue. The only people who smear it are the people who want to compete against it. Every time I go to a boxing event, it's sold out. There's nothing wrong with liking boxing instead of MMA or vice versa, just like soccer is so much bigger overseas compared to here. It's pretty recession-proof too. We just lost a lot of athletes to other sports like football, specifically the heavyweights. RK: Yeah, if you go to other parts of the world, boxing is huge. Germany and Russia love their Klitschkos. AF: It's still huge in Mexico, man. We just come in small packages ,that's all. After soccer, boxing is the big thing with us. RK: What's the proudest moment you've had watching your fighters develop? AF: Oh, I dunno about one specific moment, but it's just been great being part of the fighters' success, even if I can't actually take credit for it. I just provide the resources, but it's cool to know that we obviously connect with them. RK: The community has had its share of fighters  Vargas, Victor Ortiz to name a few. How much of a breeding ground for talent has Oxnard been from what you've seen? AF: I'll tell you what, if you've got that drive for the sport and there's someone there to guide you, you're gonna do a better job than that guy who's just gifted. I've seen it happen over and over. I like seeing it too because I'm an underdog sorta guy. We all watched it with Sergio [Martinez] too. Nobody expected anything from him. He was just supposed to be a stepping stone for other fighters. So to see that sort of success from a guy like him has been great. I mean, that guy reeks with talent, but he's so driven in training and he's a class act. The guy is absolutely brilliant. You can see it in the ring, but the way the guy talks, he's got such a great charisma about him and you just wanna hear the guy talk. Even if it doesn't make sense, it just sounds good (laughing). And in the ring, the guy is virtually flawless and whatever flaws he does have, he's constantly working on. RK: What do you think would happen in a rematch between him and Margarito, just down the street [training in Oxnard as well]? AF: You're talking about a huge fight right there. With the attention Margarito's getting with the Pacquiao fight, with Martinez's big rematch against Williams, with the history between the two, it'd be enormous. It really should happen again. RK: How do you see Pacquiao-Margarito playing out? AF: Honestly, I think Margarito's got the tools to do it, but he just needs to do the right things to put them to use. He's got a great trainer in Robert Garcia, who's coming up in the sport. RK: What's Sergio's attitude been like toward the Williams rematch? AF: Everything's changed since he won the title in terms of what's at stake, but really, the guy's always been pumped up; the same guy since I've known him. He's got great athletes around him to train with. I've watched Fernando Vargas train, and lemme tell you, when that guy would train, he would TRAIN. I always respected him for that. He and Sergio Martinez really are the hardest workers I've ever seen at the gym and it shows through in their fights. AF: I just want everybody out there to get excited for Sergio Martinez and support the sport. I've been around it for years and it really is a beautiful sport. RK: Thanks for giving us your time! 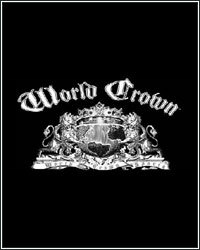 World Crown Sports is located in Oxnard, California. For questions regarding the facility or to book usage, contact Adam Flores at 805-832-7696.